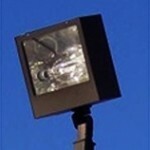 PROFILE: These square rectangular luminaries are often referred to as Shoe Box heads. 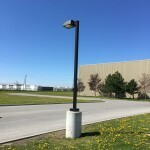 This example is a metal halide Shoe Box. 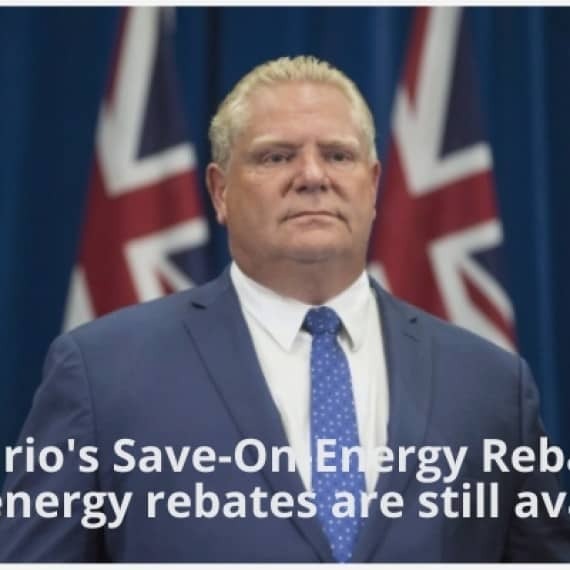 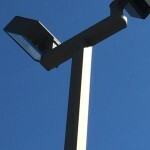 LED replacements are available in the same Shoe Box design. 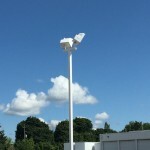 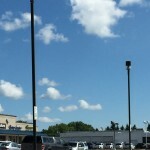 PROFILE: Here’s an example of pole-top luminaires with a round style design used in parking lots. 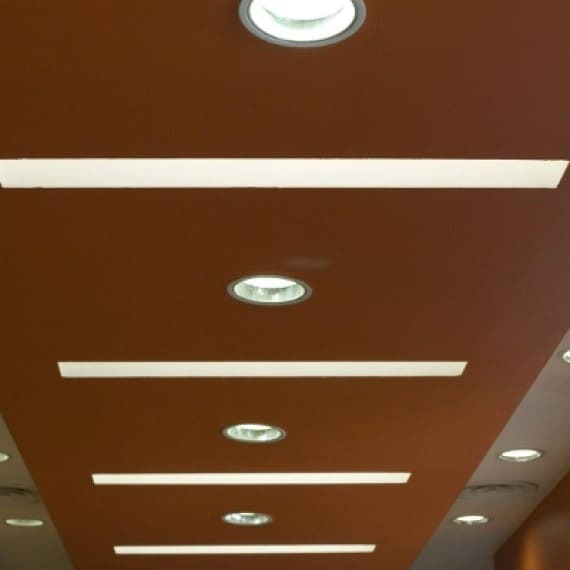 This type of fixture design provides a 360-degree light pattern. 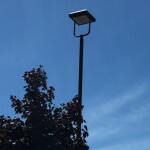 PROFILE: These pole-top luminaires are used to provide 360-degree light output for illuminating parking lots and general area lighting. 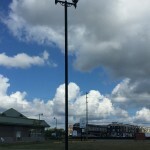 PROFILE: Here’s an example of coach light designs used in a parking lot. 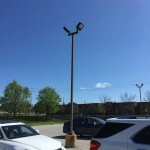 PROFILE: Auto dealerships often use white pole lights in their outdoor display areas. 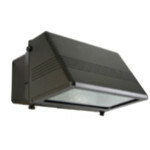 PROFILE: 175W Wall Packs are generally found on building exteriors mounted at 12 to 16 feet up from the ground.